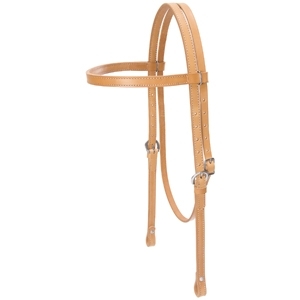 Draft Horse Headstall | Florida Farm & Feed, Inc.
Sized to give draft horses a perfect fit, this doubled and stitched 1" harness leather headstall features a single-ply throat latch. Chicago screw bit ends. Durable nickel plated hardware. Draft horse size.